We offer demolition spec excavator and attachment hire in Suffolk and Norfolk. With machines from 13 to 24 tonnes and expert operators on hand if needed. We provide an extensive range of demolition-spec excavators and attachments – to suit any need, on any scale. Our range of 13 to 24-tonne machines are supplied with full cab guards and cages, heavy-duty belly plates, side skirts and ram guards. Whether you’re dismantling, site clearing or slab breaking, we can equip you for specific needs and complex working environments, for self-drive or with expert operators. We monitor the plant and demolition industry closely, and upgrade our demolition fleet and attachments continuously to ensure you have access to the very best for the job. in Need of some specialist equipment? 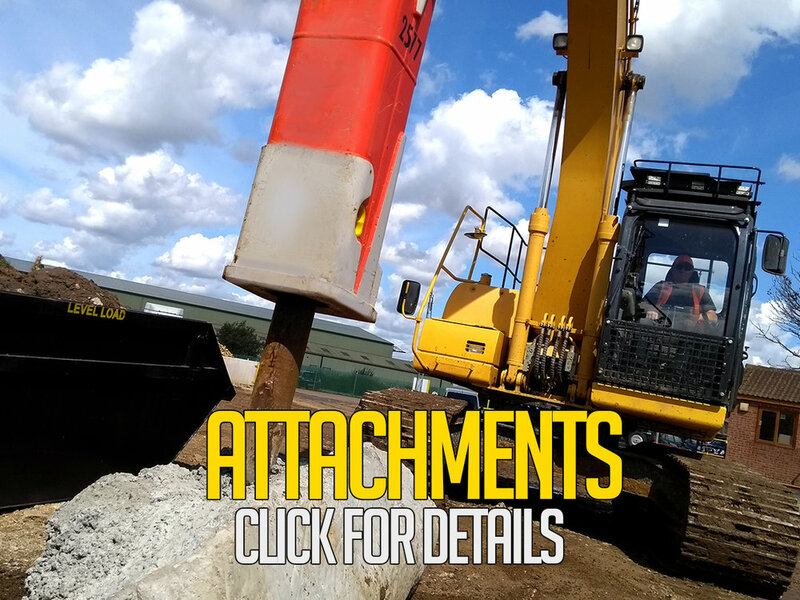 Come and see our range of attachments from Screening & Crushing buckets to Sorting Grabs- we’re sure to have something to fit your requirements!